This light and gentle moisturiser, boasts shea butter and aloe vera to calm and soothe the complexion. 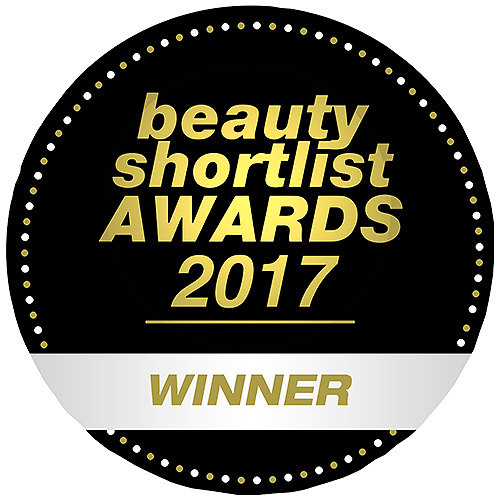 Rapidly absorbed to deliver essential hydration to delicate skin, whilst rose hip, sesame and jojoba oils help promote optimal moisture levels for radiant, balanced skin. Aqua, Aloe Barbadensis Leaf Juice, Sesamum Indicum (Sesame) Seed Oil, Cetearyl Alcohol, Cetyl Alcohol, Glycerin, Ceteareth-20, Rosa Canina Fruit Oil (Rose Hip), Theobroma Cacao (Cocoa) Seed Butter, Butyrospermum Parkii (Shea Butter), Simmondsia Chinensis (Jojoba) Seed Oil, Persea Gratissima (Avocado) Oil, Triticum Vulgare (Wheat) Germ Oil, Tocopherol (Vitamin E), Cucumis Sativus (Cucumber) Fruit Extract, Chamomilla Recutita (Matricaria) Flower Extract (Chamomile), Phenoxyethanol, Benzyl Alcohol, Vanillin, Vanilla Planifolia Fruit Extract. 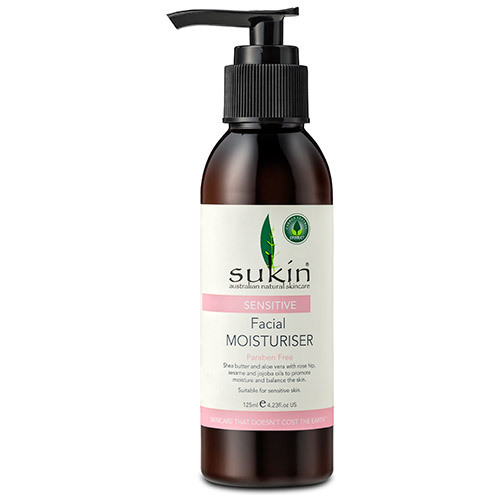 Below are reviews of Sukin Sensitive Facial Moisturiser - Pump - 125ml by bodykind customers. If you have tried this product we'd love to hear what you think so please leave a review. This is an excellent product that is absorbed really easily. A little seems to go a long way too. This is my first purchase, and I'll definitely buy more. Seems to be reasonably priced for a good quality vegan product that's free from the usual chemicals. That's my third purchase of this briliant product...just love it! First used this in Australia where it is very popular, liked it a lot but found it very hard to find here in the uk, then I found bodykind thank goodness, this product is just the best if you have very dry skin like me, I never use anything else. Lovely, gentle moisturiser. Doesn't irritate my rosacea and my skin feels soft after using it. Love the pump dispenser and the scent! Great value too - will repurchase. Love this cream. So light but moisturising in the same time. Very easily absorbed. Good value for the money. I would definitely buy again.